¿Poco tiempo? 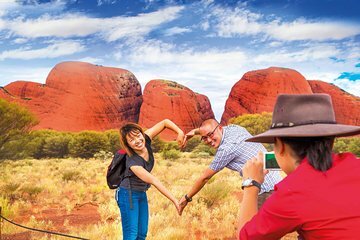 Maravíllate con las atracciones estrella del Centro Rojo de Australia en una excursión de medio día desde Ayers Rock. 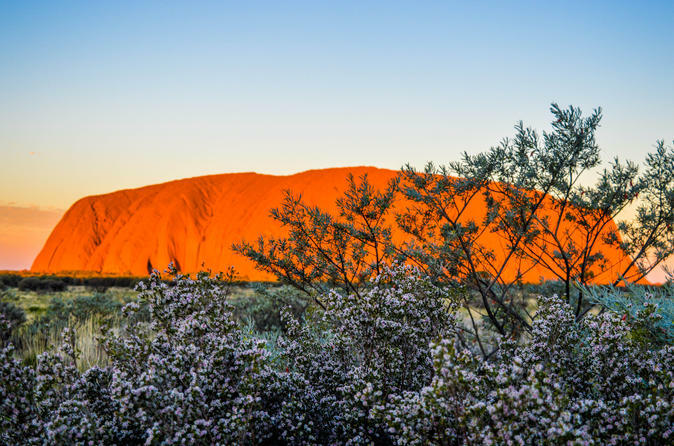 Observa el deslumbrante amanecer sobre el sagrado Uluru desde la plataforma de observación Talinguru Nyakunytjaku y aprende sobre la importancia espiritual de la roca para los indígenas Anangu. Luego, emprenda una caminata guiada por el desierto rojo de Walpa Gorge y acérquese a las magníficas rocas abovedadas de Kata Tjuta (Las Olgas). Tour perfecto para quienes visitan por primera vez o aquellos que tienen poco tiempo. The guide didn't care about the rest of the group and only spoke with the Italians especially during the Kata Tjuta walk. So disappointed! Wonderful. Our tour guide Dave did his excellent service. I really enjoy walking in the windy Kata Tjuta. Tour finished in 11:30 at outback hotel and I can catch the flight back to Sydney. The sunrise was lovely, the rock was lovely but unfortunately, the two did not meet. We are told of incredible views as the sun rises over Uluru but this did not happen. I would recommend taking a tour with the Uluru Express company who take you to a viewing platform the other side of Uluru from which you can get spectacular views. Disappointing. Good trip, but be prepared for heat and rocky terrain. Also buy the netting that goes over your head. It isn't expensive and it will save you from the flys getting into your face. The walk to the end is definitely worth the heat.  Michael was very informative, knowledgeable and pleasant. The driver (his name escapes me right now) went out of his way to help a disabled man and pushed him around at a few stops. Great tour and highly recommended. Our guide and driver were both very professional and fun! Good to be able to walk as much as you can within the time or just stroll at your leisure. Unfortunately I did not enjoy this tour. Not worth your money. The walk through Walpa Gorge in Kata Tjuta was not great. My roommate said Valley of the Wind part of KT is more interesting. I enjoyed the sunrise itself than looking at the Uluru rock. Worth the visit. However a guided tour which would of been a nice touch.